Certainly, the hiatus doesn’t make Rajkumar Gupta rusty. Coming back after a gap of five years with the ‘solid film’ RAID amazes and thrills the critics and the audience. The movie critic and business analyst Taran Adarsh describes the film as ‘SUPERB’. 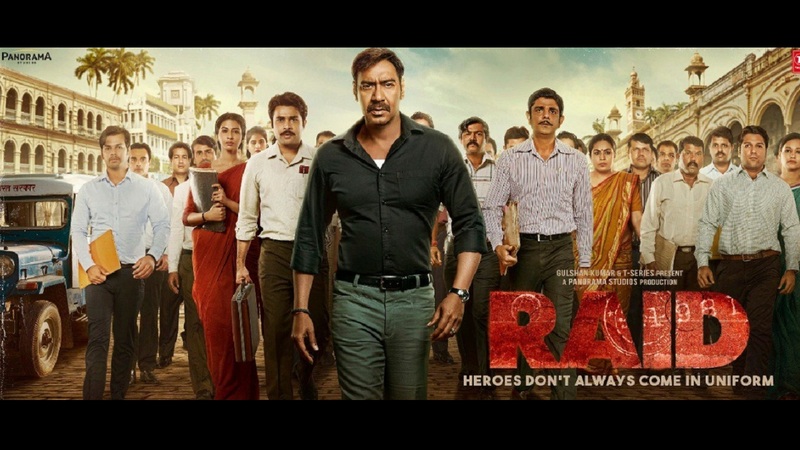 Giving it a big thumbs up, he wrote this on twitter, #OneWordReview… #Raid: SUPERB. This nail-biting thriller is smart, engaging, gripping and entertaining… Go for it! A fearless IT officer, Amay Patnaik (AJAY DEVGAN) carries out Raid in a mansion, ‘white house’ of the most powerful politician, Rameshwar Singh aka Tauji (SAURABH SHUKLA), on the outskirts of Lucknow. Though Tauji attempts to get the officer removed, whereas the officer is determined to find the missing wealth. The film, set in 80’s is based on one of the most high profile raids the country has ever known and is the world’s first film on income tax raids. The raid, it is an exhausting affair in real and cinematically it offers many challenges: confined, single space, defined set of people and not much movement and action. Despite these odds, director Raj Kumar Gupta and his writer Ritesh Shah do manage to hold the audience interest. Ajay Devgn does brooding intensity better than most of his colleagues and injects just the right amount of vulnerability into Amay to make him relatable. Ileana as his wife gets limited screen time, but for what it is worth, she plays it well. Saurabh Shukla’s performance as Tauji is the highlight of the film. He brings flexion and shades in his character which makes it more interesting. We can call him a charismatic performer. Amit Sial chips in with good supporting performances and 85-year-old Pushpa Joshi as Tauji’s mother is exceedingly charming. Background score by Tanishk and Music by Amit Trivedi goes well with the narration of the film. Raid is a film that caters to public sentiment against black money and corruption.